I don't make dessert every night, I usually make it on nights we have leftovers or when we are having a light dinner and I know everyone will still have room for dessert. So when my daughter asked if I could make apple crumble I planned dinner around it. 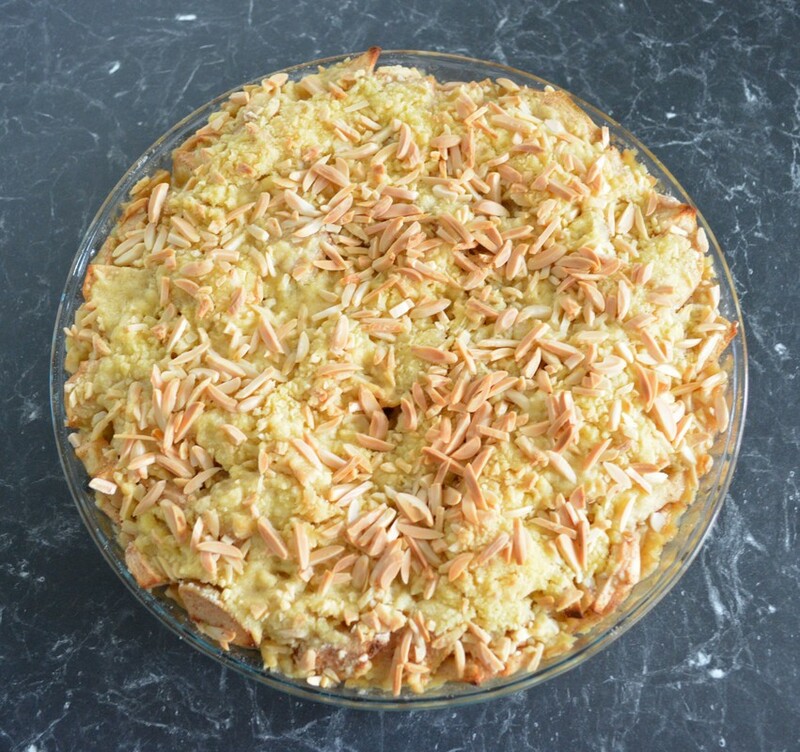 This is another dessert I love, it is simple, it is quick to make, it is delicious. Actually, this is the kind of dessert my whole family loves. This is a cheap dessert to make, a few apples and a few pantry items. 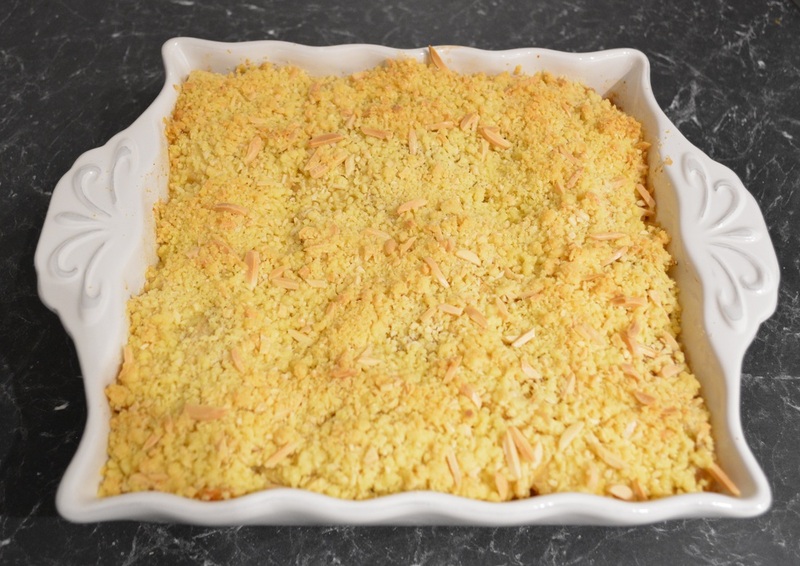 I have used both slivered almonds and sliced almonds (as I didn't have slivered almonds at home when I needed them) both work, however I prefer slivered as it gives you a nice crunch to the crumble. But in all honesty I would use whatever I have in the house. So if you like apple desserts, try this it is a winner in my house. Peel, quarter and slice the apples. 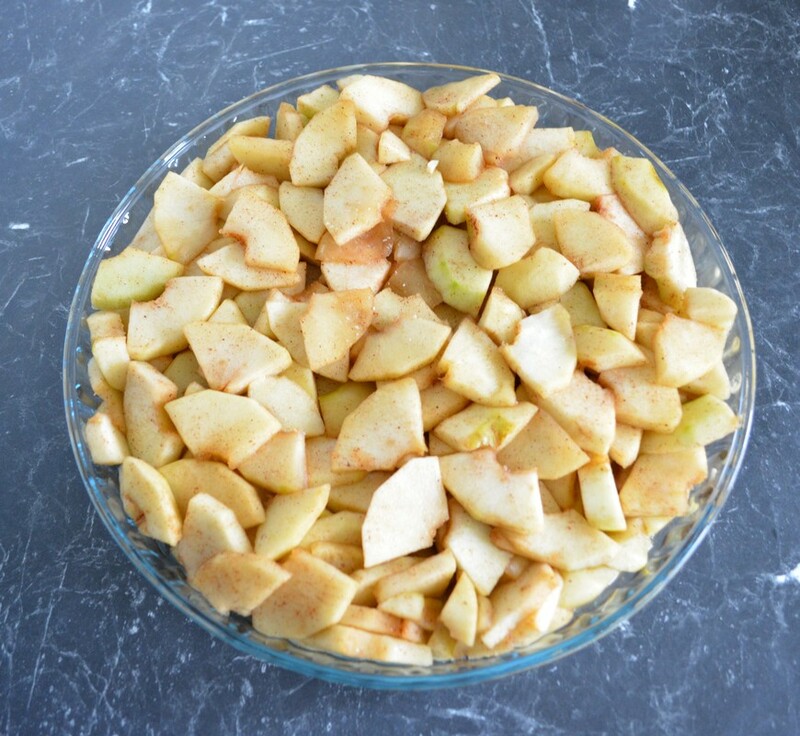 Place the apples, sugar, cinnamon and 2 tablespoons of water in a medium sized saucepan. Simmer, covered, stirring occasionally, for 5 minutes or until the apples are soft. 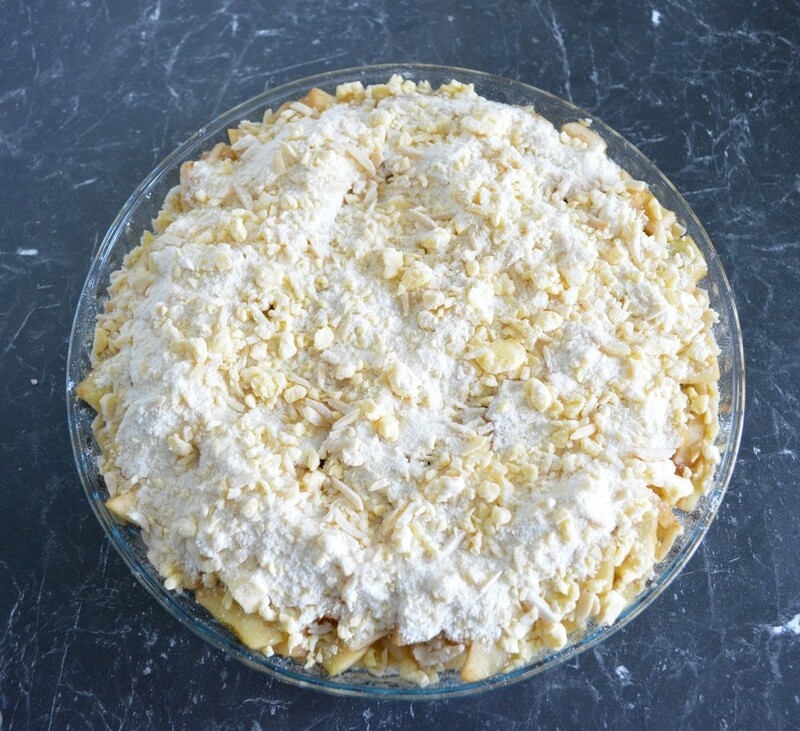 Once soft, spread the apples over the base of a 22cm pie dish (or any ovenproof dish you have, similar in size). Combine the flour, extra sugar, butter and 80g (3/4 cup) of the slivered almonds in a food processor and blitz until just combined. Scatter the crumble mixture over the apples and scatter with the remaining almonds. Press down lightly. Bake for 30 minutes or until golden on top. The top crisps up upon cooling. Serve warm with custard or vanilla ice cream.